We have a new bakery Opening in Coconut Grove sometime in the spring. It's Crave Clean Protein Bake Shop, which some of you may know from their first location at 3822 SW 8th Street. Crave Clean in Coconut Grove will be at 3012 Grand Avenue, next to Soles sneaker store. Crave Clean believes in the power of clean eating. 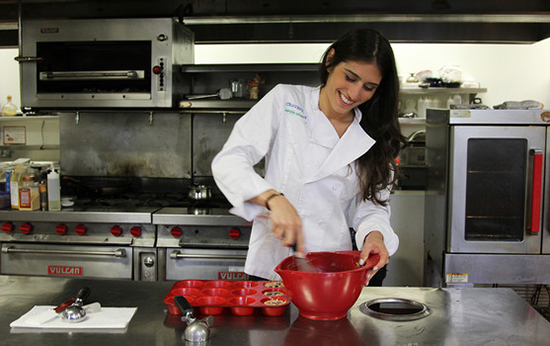 According to Francesca Caltagirone, the owner, you will recognize every ingredient in their baked goods. "We pride ourselves on bridging the gap between fitness and foodies." All their items are loaded with protein and have less than 1g of sugar, they are low in calories and carbs. There are no additives or preservatives used. They have just about everything from doughnuts to cupcakes, brownies, muffins, cookies and cakes. Francesca got tired of eating unhealthy protein bars and shakes and started experimenting in her own kitchen and the rest is magic. They are just starting the build out now at the Grove location and are hoping to be in by the end of March beginning of April. They will likely have a Grand Opening party to celebrate. Daniella Morello, head of marking told me, "We will be adding a few more Breakfast Items as this new location has many men and women working in the area that could use a quick, healthy, high protein breakfast, items for example, like our Proats (oatmeal packed with protein and the toppings of your choice) that we have now." The location is perfect, right across from the ad agencies and CocoWalk, right in the center of town. Delivery, local and national, will be an option, through an outside company called Postmates. The new location will have extended hours. They currently close at 6 pm and will be closing at 8 pm in the Grove. They will be open 7 days a week, vs the 6 days a week now, and staying open later on Friday and Saturday evenings. As usual, we'll let you know about opening day, subscribe to the Grapevine so you don't miss the notice!